Sòlfari is an Icelandic horse stable in the town of Raasepori, about 8km from the centre of Karjaa. We offer a beautiful terrain and an illuminated riding ground. 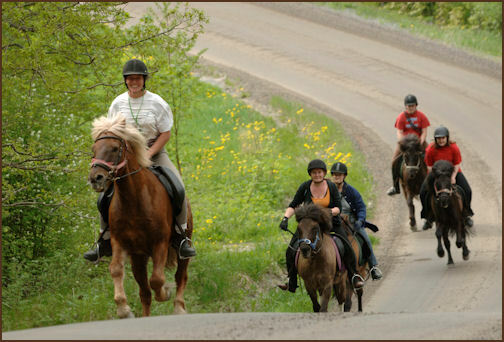 We arrange mainly cross-country rides that could range from 1h to several days, but also riding lessons and courses. The long riding trips are planned according to the customers wishes. In the summer we arrange camp activities. Updated 15.2.2011: New photos in the gallery.